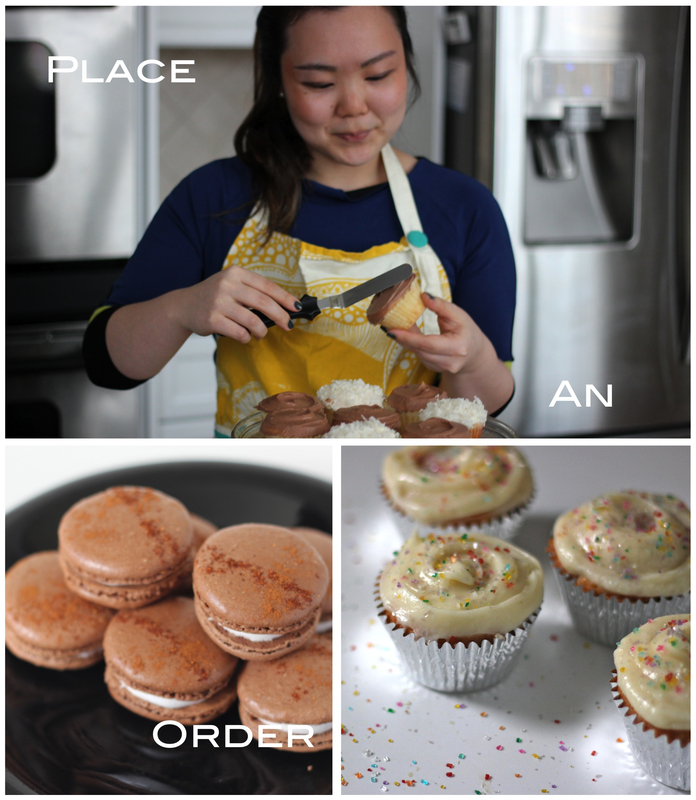 This post is bittersweet as it will most likely be the last one coming from this kitchen. Let me explain. Apartment hunting in Manhattan is NO FUN. I saw ads for semi-nudist roommates and friends-with-benefits roommates and then there were the weirdos… And during my apartment drama, I was missing my mom so much and her cooking. 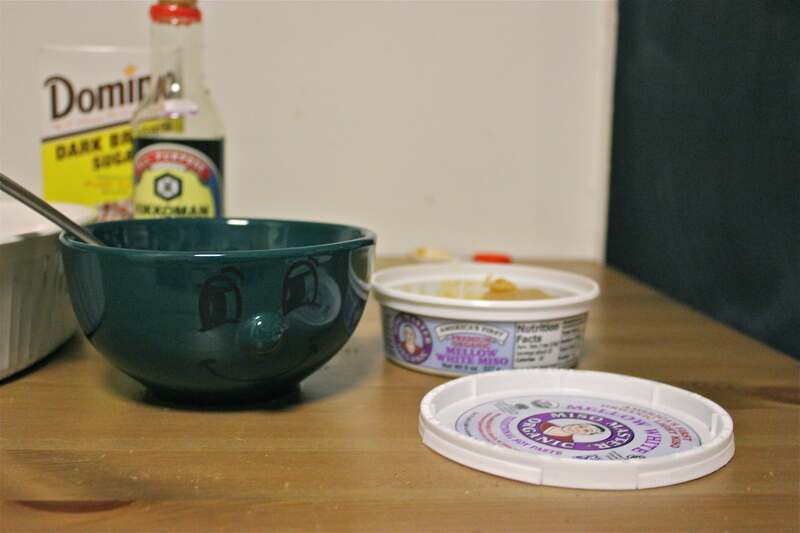 So after talking to her, I decided to make something warm and comforting, like her miso soup which I know is super easy to make. But when I got to Whole Foods and saw that they have, I kid you not, 6 different types of miso paste… I couldn’t take it anymore… red miso, barley miso, sweet white miso, mellow white miso… how am I to know?? I’ve never bought miso before! I CAN’T EVEN TAKE CARE OF MYSELF. It was too much. I was like ‘Are you f*cking kidding ME?? Seriously. All I wanted was a simple f*cking bowl of miso soup to have before I have to resort to living on the streets.’ All of this I of course said in my head because I internalize all my miso-issues, like a normal person. I called my mom on the spot and told her my sob story as I picked up and examined each container of miso (can the company that makes miso paste please make transparent containers?). You guys probably think I’m mental, as does my mom. She was just as confused about the whole miso situation as I was, but told me to get the mellow white miso. And you know what, she was right… she’s always right. So I got home after my miso meltdown and made myself some soup. And it was good. 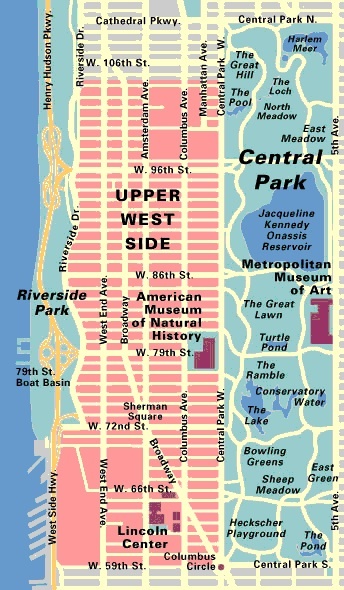 Oh, and then I got an apartment… on the UPPER WEST SIDE. The UWS feels like ‘grown up’ New York to me. Very eclectic and interesting, yet not grungy or noisy. 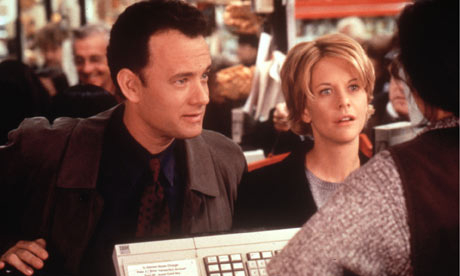 I’ll probably befriend Woody Allen or Nora Ephron and become one of those cynical NYers with killer one-line quips. Plus, my new apartment is still close to work so it’s a win-win all around. It was a rollercoaster of emotions finding this new place but now that I have, I’m so thrilled and relieved. And the best part is that there’s a washer-dryer IN THE APARTMENT. When I told my friend Morgan this, I felt like a Neanderthal. ‘Is that not, normal?’ she asked. Well… ‘Me No More Use Quarters. Me No Wash In Laundromat With Angry Laundry Ladies,’ I responded. Basically, it’s the NY equivalent of apartment nirvana. So at the end of this month, I will be moving my stuff into a new apartment with new roommates in a new neighborhood. This will be my third move in NY and hopefully the last, for a while. Oh sweet Lord, please don’t make me craigslist again. Unless it be thy will, thy sick and twisted will. 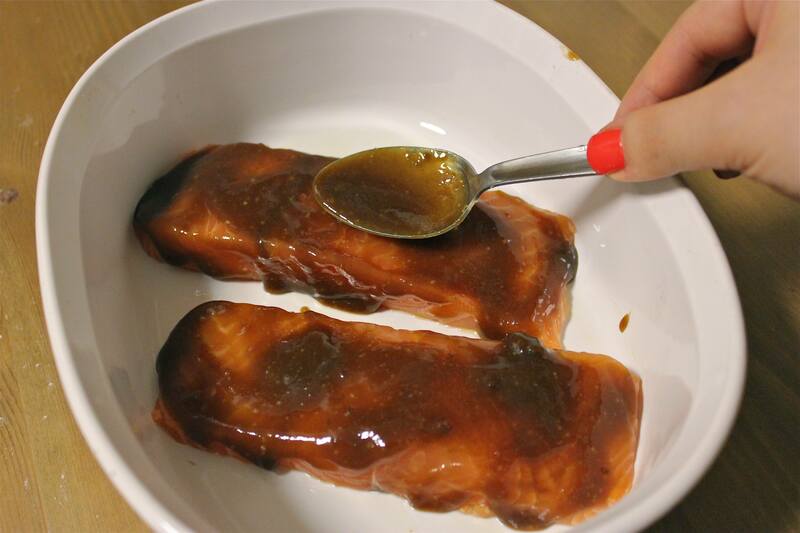 (2) Combine brown sugar, soy sauce and miso in a bowl, stirring with a spoon. (3) Arrange fish in a shallow baking dish coated with cooking spray. Spoon miso mixture evenly over fish. (4) Broil 10 minutes or until fish flakes easily when tested with a fork, basting twice with miso mixture. (5) In a sauté pan, heat the olive oil over medium high heat. Add the snow peas, garlic, a pinch of salt, and some freshly ground pepper. Sauté until all the snow peas are cooked but still remain slightly crisp, about 5 minutes. 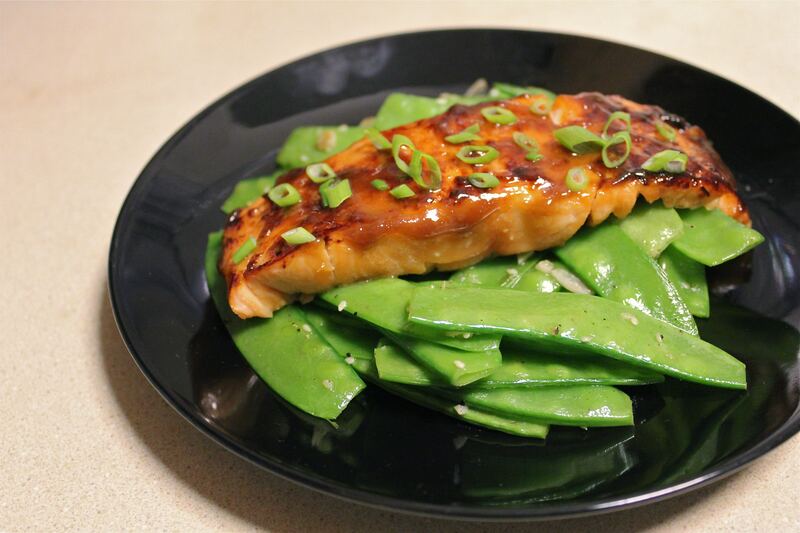 (6) Arrange a pile of snow peas on each plate and top with a salmon filet. Sprinkle each filet with some chopped green onions.